Also known as: "The Modfather"
Soon after the formation of The Style Council, Weller and Dee C. Lee, The Style Council's backing singer, began a romantic relationship. The couple married in 1987 and divorced in 1998. They have two children Leah and Nathaniel (Natt), who is also a working musician and once appeared on stage with his father at Hammersmith Apollo at age 12. Weller has another daughter, Dylan, by a short-lived relationship with a make-up artist called Lucy. While he was recording at the Manor studios in the mid 1990s, he became involved with Samantha Stock. They have two children. In October 2008 they broke up and Weller moved in with Hannah Andrews, a backing singer on his 22 Dreams album, who has toured with his band. The pair married in September 2010 on the Italian island of Capri. The couple welcomed twin boys, John Paul and Bowie on January 14, 2012. On 24 April 2009, John Weller, Paul Weller's father and long-time manager since the days of The Jam, died from pneumonia at the age of 77. An emotional, experimental ride, Weller’s 11th solo LP is brilliant stuff. • Thirty years ago, Paul Weller was number one. The Jam's A Town Called Malice spent three weeks at the top of the charts, its Motown bassline bustling, its finger clicks rustling. Watch its video now, and the 23-year-old at the middle of it has hardly changed in some ways. His Woking vowels are still 'ow's-yer-father; the haircut's still cockatoo-daft. But he sings a line in its first verse that's practically become his motto: "Stop apologising for the things you've never done, because time is short and life is cruel, and it's up to us to change." • Weller has never been a man to look back at his career, in anger or otherwise; time ain't been short for him either, but it seems to have inspired him rather than smothered him. Sonik Kicks, his 11th solo album, is alive with the vitality that implies. Nevertheless, so rapturous has been the reception to his recent LPs – 2008's 22 Dreams and 2010's Mercury Prize-nominated Wake Up the Nation – that's it's almost become a cliché to flag up his return-to-form as something thrillingly adventurous, even avant-garde. But this isn't skronky, dissonant (The) Wire (magazine) music: this is psychedelic, kaleidoscopic pop. It just happens to be made by a man always interested in filtering the past in his own way – and most 53-year-olds don't do that as peculiarly as this. • Sonik Kicks fizzes and spits from its first track, Green, blasting off with a synthesiser that recalls the motorik rhythms of Neu!, as well as the drone that starts The Human League's Love Action. Then we whirl into a world of vocal echoes, garbled lyrics about secret guides and quiet times, and stereo whooshes through the headphones: it's really hard not to be energised. Dragonfly and Around the Lake are similarly propulsive and sci-fi, driven by drumbeats and Joe Meek-friendly sound effects. Then we get into the weirder, instrumental stuff. Sleep of the Serene is like a 1960s B movie curio, full of electronic burbles and strings that get progressively strange. Twilight is 18 seconds of metallic clatter and messing about with sine waves, before Drifters arrives with a shadowy Silver Apples bassline, chunky guitars, and Weller "finding his way back home" as a mysterious voice calls "him on". It's still pop, Paul, but it's not as we know it. • More than anyone, these space-age stylings make you think of David Bowie, of whom Weller's new wife is a huge fan – so much so, she's famously named one of their new twin boys after him. But there are more solid, classic Weller tracks too. That Dangerous Age is particularly funny, a brilliantly self-aware piece of pop about a middle-aged man: "He likes three sugars in his coffee / He wants that chick in the office / He's took to staying up late / He's on a much higher rate." Kling I Klang is slightly less successful, a funny piece of oompah about salty days and vicars’ wives, while When Your Garden's Overgrown could have come from Weller's mid-90s Modfather era. Its chorus, however, still packs a real punch: from A Town Called Malice to here, the man still has an ear for a tune. • The most moving moments, though, are the two big ballads: stunning pastoral epic By the Waters and the mainstream-friendly finale, Be Happy Children. This features Weller's daughter Leah on a chorus, infant son Mac at its end, even a lyric that he's acknowledged as a nod towards his late father ("your daddy's gone, but only for a while"). Weller throws it all in on this record: experiment as far as he can take it, emotion as far as he will allow. To these ears it's a heady, and brilliant, combination. • But should he be? • In fact, the 53-year-old never sounded more open to adventure than he does at this moment. “Sonik Kicks” kaleidescopes through a swirl of sound, referring back to ’60s psychedelia without ever standing in its shadow. If the music includes allusions to the trippier, Carnaby-Street era of Syd Barrett and Traffic, it’s infused with so many other sounds, and abstracted through so much of Weller’s own point of view, those earlier references end up sounding like the most fleeting of musical footnotes. • Weller’s fresh peak of experimentation comes at a telling time. It’s been 35 years since he burst onto the scene as one of the angriest young men of his era, while leading one of Brit-punk’s most important bands, The Jam. It’s also been 20 years since he started putting out solo albums, following the collapse of his second great band, the continental soul-jazz act Style Council. • In the years since, Weller often acted as a preservationist, if not a revivalist, keeping the flame of classic British rock alive. That resulted in a great amount of topnotch songwriting and playing, reaching a recent height with the thrilling 2005 neo-classic rock dis k “As I s Now.” But it also left him open to charges of being a fog ey, if not a throwback. • Weller challenged that view most effectively with 2008’s “22 Dreams,” which now looks like a kind of testing ground for the new dis k. Both CDs fil igree solid songs with evocative soundscapes. Both also take key influences from the mania of ’70s German rock, heard in bands like Neu! and Can. • The album opens with a warning assault. “Green” throws a kitchen sink of guitar lines and synth loops at the listener, but it’s anchored by a big rock beat and an appealing vocal refrain. Weller’s songcraft proves so durable it can seemingly withstand whatever wild sounds he throws at it. “Kling I Klang,” the most obvious Germanic ditty, presents a kind of punk oompah with goosestepping guitars. “Study in Blue” melds jazz with Jamaican dub, letting its bass throb erotically around the piano. “Drifters” pivots on a fl menco beat while blurring through Beatlesque flights of psychedelia. • For an artist so well known as a guitar guy, it’s freeing to hear him noodling around so cozily with theremins and synthesizers. • Those who still insist on seeing Weller as a hard-driving rocker may feel put off by the music’s frippery. But its sense of freedom has a vim that makes this old guy sound new. • There seems to be but a few options for rock’s elder statesmen as they enter their 50s and beyond: either go raw and rude; stick to what you know; or go bananas and do something which, if successful, will put the young’uns in their place. 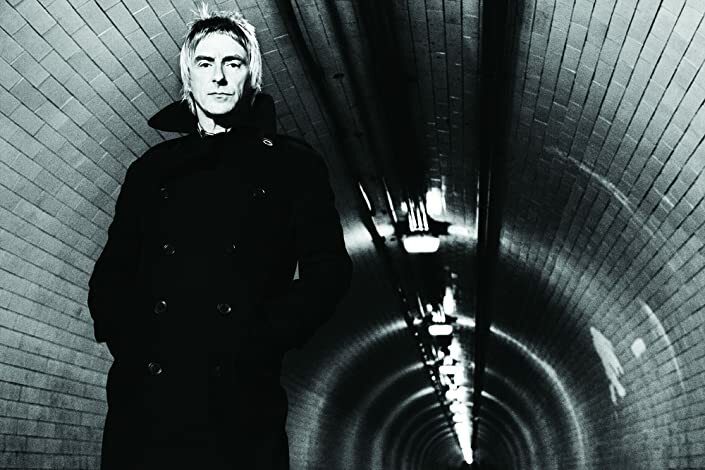 Paul Weller went with the last option on new release Sonik Kicks and has produced a stunner. While traces of Modness are fairly discernible on solo release #11, Sonik Kicks also possesses a healthy psychedelic influence, and at other times sees the sharpest of sharp-suited silver foxes dabble in motorik beats and synthesizers. • Weller has rarely been known to rest on his creative laurels throughout his varied career. The most recent evidence of this is 2010’s Wake Up the Nation which, among other surprises, featured two collaborations with Kevin Shields of My Bloody Valentine. Before that, 2008’s 22 Dreams saw Weller delve into such unexpected genres as jazz and tango. While genres he explores on Sonik Kicks are a little more rock-friendly, an air of surprise still lingers on the periphery of the songs. Here things begin with the motorik beat of “Green”, at once a game-changer and a revision of past signatures; an inherent Modishness lurks just below the Kraut indebtedness and psychedelic guitar squalls. Most importantly, “Green” is spirited, an energetic and intriguing starter. Its follow up, “The Attic”, is perhaps the album’s brightest pop moment. The song retains the psychedelic guitar flourishes of its predecessor, fashioning them into ebullient pop hooks in such a way that, despite including lines like, “All day long I’m lonely / Waiting by my phone…Baby come home” the song sounds nothing short of invigorating. • After the rollicking “King I Klang”, the album takes a detour into the vaguely pretentious (the lush-stringed soundscape “Sleep of the Serene”) and downtempo (the lovely “By the Waters”). In no time Sonik Kicks perks up again with “That Dangerous Age”, the album’s first single and most overtly Mod cut. Thanks to the “shoo-oop” backing vocals, Weller can now add being the founder of electro doo-wop to the list of his many achievements. • The dub-heavy “Study in Blue” marks the album’s halfway point. A duet between Weller and current wife Hannah, it’s akin to Weller’s past Style Council efforts while resisting that project’s pop constraints. Given its strong first half, Sonik Kicks could easily drop off from this point and still be an impressive release, but what remains effortlessly matches what came before in energy and substance. “Dragonfly” is a total psych trip that features Blur’s Graham Coxon on guitar and Hammond organ. “Garden Overgrown” is another ‘60s-psych tribute, but substitutes Noel Gallagher for Coxon and throws in a nice Syd Barrett reference as well. The album closes on a dangerous note with “Be Happy Children”, a soul ballad that balances the fine line between heartfelt and hokey. A closing whisper from one of Weller’s younger offspring just about tips the balance, but thankfully the song is saved by another Weller descendant, daughter Leah, whose mother is Weller’s Style Council companion Dee C Lee. Leah has a sturdy vocal prowess to both match her mother’s and serves as a nice compliment to Weller’s rich delivery. 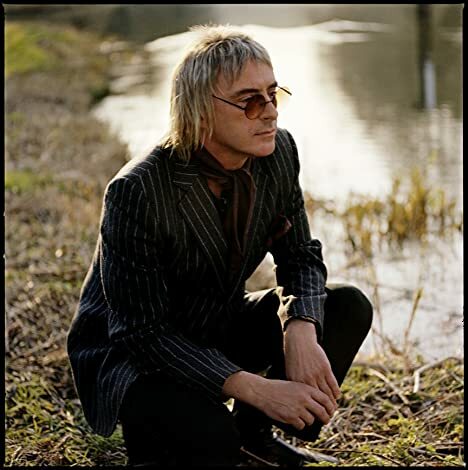 • In recent press for Sonik Kicks, Weller has expressed utmost confidence in the release, going so far as to say, of all his many releases—from his work in the Jam on through the Style Council’s Our Favorite Shop and highly regarded solo release Stanley Road—this is the album he would award “Desert Island Disc” status to. Given Wake Up the Nation‘s Mercury Music Prize nomination and Sonik Kick‘s spiritedness, it’s apparent that Weller is turning a new leaf in his career and that other, equally strong, releases in the coming decade are not far behind. We are only three months into 2012, so whether Sonik Kicks will be remembered when year-end accolades roll around is even up for conjecture. For now, however, Weller has made an extremely worthy case for remaining the master of his craft.